This weeks blog comes once again from TC Tanakorn once more who has been putting all to shame this season with an immense number of events across the globe. UNESCO World Heritage city. You can find old temple with traditional life of Laotian in this small and friendly city. (from www.tourismlaos.org). 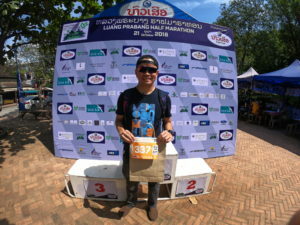 This year is the sixth time that Luang Prabang held a road running event and the participant number had been risen from less than 1000 to almost 2000 runners. I arrived Luang Prabang 2 days before the events. 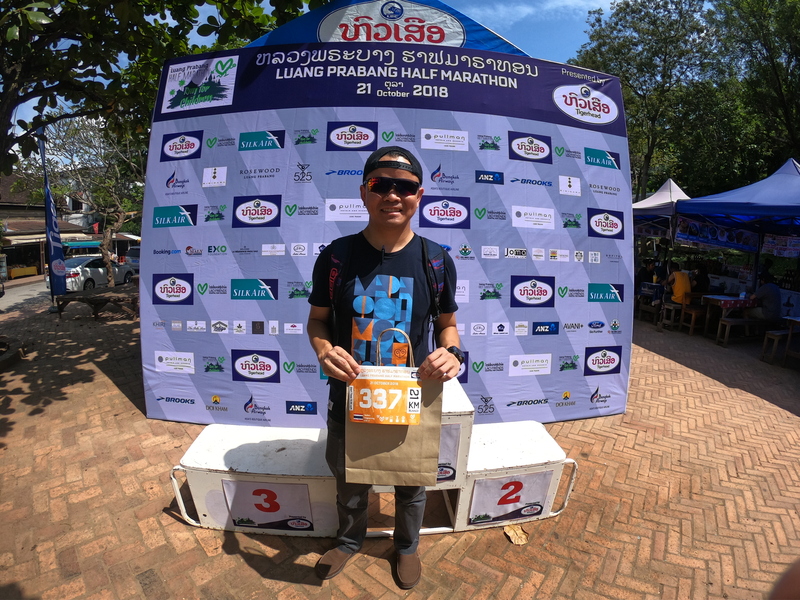 It was very convenient for me and most of Thai runners because it took just only less than 1:30 hour by plane from Bangkok Suvarnabhumi Airport to this city. Weather on the day I arrived was quite similar to Thailand. Only different I could feel is the cool breeze on early morning and the fast drop of temperature after the sunset. Race registration area was set at the entrance of night market (Sisavangvong Road) with lots of helpful staffs and volunteers to assist both local and international runners. To be honest, it was quite difficult for me to set a realistic goal for this race because of the lack of consistent run after Moscow Marathon. One thing for sure that I aim to accomplish in this race is pushing my body inside out and through the suffer moment. The race start & finish area was located at the beautiful Luang Prabang royal palace. In the first few kilometres, I ran by feel and tried not to push too hard because I knew that eventually the course would lead all 21 km runners to many ups and downs of the city after 5 km. The real race for me started at 10 km (52:56 Min) as I slowly pushed the pace to 5 min/km or as close as possible to achieve my goal of sub 1:50 hour. It was quite fun and amazing when you could run fast especially in the last 5-7 km part and at this race I was really glad that I could do it again. There is no question that the highlight of this race is the road along Nam Khan and Mekong River. You can feel the harmony of traditional city vibe, the way of locals life and the beauty of nature along both rivers. Most important thing is all the 14 km and 21 km runner ran into this atmosphere twice! I crossed the finish line at 1:49:56 hr. It was not easy especially the last 3 km as I tried to run and push above my limit as long as possible. Of course, I suffered. Big time. But I was glad that even when the moment of suffer came, I was not afraid of it and be able to ignore and pushed through it. As my coach always said to me “You really need to go into the suffer zone and push through it if you want to become a better and faster athlete” Its true. So very true. 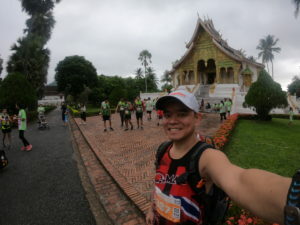 All in all, this race is a must if you love travelling to small city in South East Asia and would like to see the whole city by foot and have a great run at the same time. Water station was located 2 km apart and there are lots of volunteers willing to help you. 21 km runners get finisher medals and event t-shirts but 7 and 14km get only event t-shirt. I would say that race&#39;s start-finish area which located at the royal palace and national museum is one of the most beautiful start-finish area of road running race, I have ever joined.